Technical explanation of the VMware HA, Network Edition Feature of Zimbra Collaboration. Zimbra introduce VMware HA scripts in Zimbra 8. This feature is only available in Network Edition, so Open Source users can't use it. 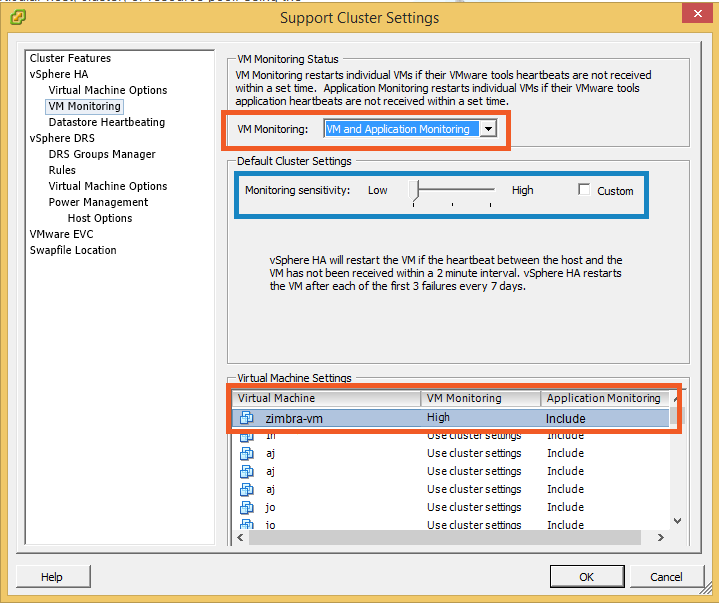 This vmware-ha service works combine with VMware vSphere HA VM Monitoring and offer us the possibility to restart our Zimbra VM when any Zimbra service was down during the heartbeat defined time. The zmhactl script starts /opt/zimbra/libexec/vmware-heartbeat, which runs as a service (continuously), and interacts with VMware HA by running /opt/zimbra/libexec/vmware-appmonitor with different arguments (so zmhactl -> vmware-heartbeat -> vmware-appmonitor -> VMware HA). B. While running it does the following on a set schedule (every 15 seconds). This is supposedly configurable with localconfig vmware_heartbeat_interval, but it doesn't look like zmhactl actually uses that. iii. if the status is OK then it sends vmware-appmonitor "markActive"
When exactly will the VM be reset? There are 3 built in presets (Low, Medium & High) and the option to select custom settings for any of these options. We can follow two ways to activate it in VMware vSphere; vSphere Client or vSphere web Client. We need to have activated VMware vSphere HA functionality, and go to VM Monitoring, mark the option VM and Application Monitoring for be able to activate the Application Monitoring. In this moment, select the best Monitoring sensitivity for your environment is out of the Scope of the Zimbra Wiki and you need to have deep understand in VMware for select the best option for your Infrastructure. We are selecting the Low Monitoring sensitivity, but in the VM, or VMs that we want to activate the Zimbra vmware-ha, will select VM Monitoring High, with Application Monitoring also activated. 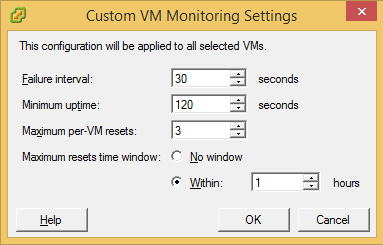 Also we can personalize and configure the best time for our Zimbra VM, if we select Custom VM Monitoring Settings. 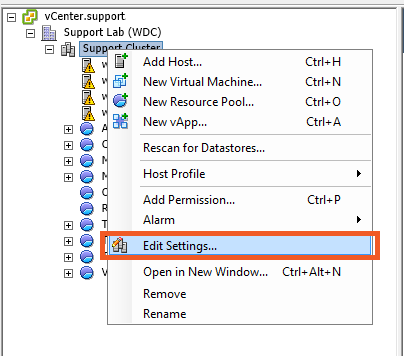 We can follow the same steps but in the new vSphere Web client, following these steps. We've selected High option, is time to test it in our Zimbra VM, we will stop one Zimbra service intentionally, for test it.